You are here: Home / About Us / Press & Media / News / Is That Snow in Them Thar Hills?? So here I am on September 3, sitting in my office, still donning shorts and as I gaze out my office window I see…wait for it….yup…you guessed it….SNOW!! Really? Not even kidding! There is snow falling to mid-mountain! Now I’m a fan of winter but I’m not quite sure I am prepared for it just yet. I would like to enjoy autumn first…still get some biking and hiking in not to mention golf! So although I will gaze fondly at my skis when I get home today, I will not take my golf clubs out of my car, nor will I pack away my bike and my hiking boots….and if I had a fishing rod I’d keep that available as well! 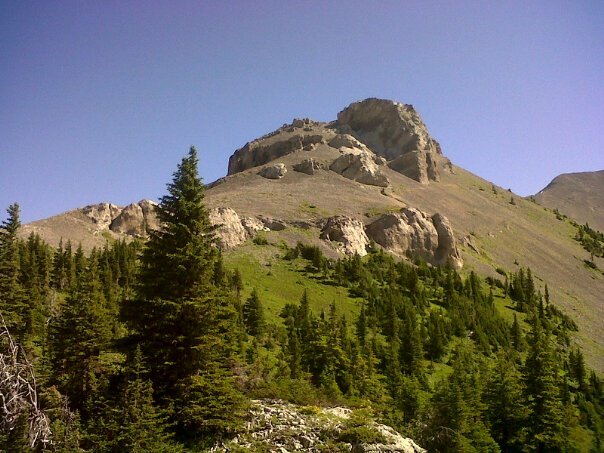 September and October are traditionally beautiful months here in Fernie and when, quite honestly, I’ve had some of my best hikes. As the leaves start to feel the cooler nights and begin to display their coats of many colours, the majestic Rocky Mountains seem to cry out for happy wanderers to trek along their winding pathways through valleys, gullies and high alpine meadows. The sky seems bluer and the warm glow of the sun kisses your shoulders as you journey into some of the most breathtaking scenery in the world. Whether you choose Mt Hosmer or Mountain Lakes Trail (Heiko’s Trail), Castle Mountain or Mt Proctor…our playground is yours to explore. You prefer two wheels underneath you? Mountain biking is fantastic right up until the snow flies which generally pushes to early November. Although lift assisted biking at Fernie Alpine Resort is over, the single track trails throughout the valley are maintained til the bitter end. What better way to get those legs in tiptop shape for the fast approaching ski/snowboard season? Haven’t made it out to golf as much as you would have liked this summer? The Fernie Golf and Country Club doesn’t close until Monday October 13 which is Canadian Thanksgiving. 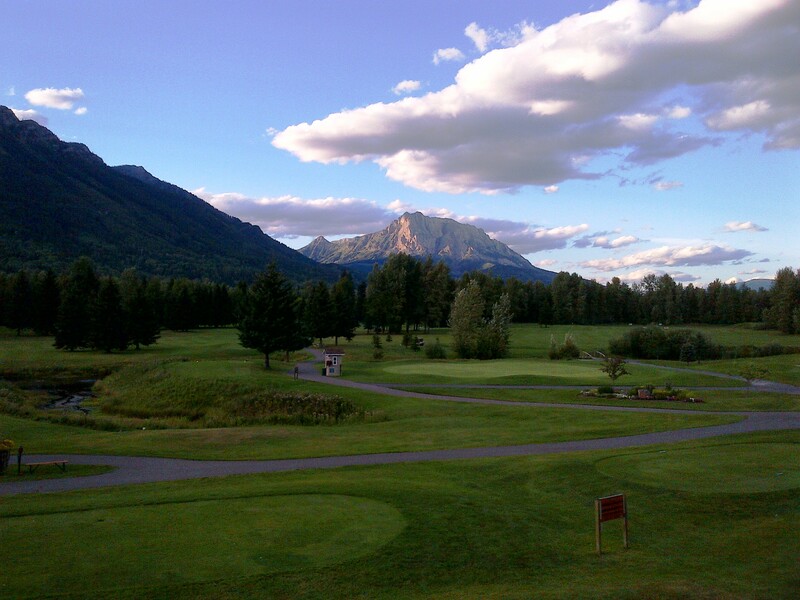 The course is in phenomenal shape and the pro shop is waiting for you to book your tee time. The Ladies Closing is Sunday September 21 and the theme is disco…..yes, you read that right! Disco! So pull out your spandex, lycra, velour or synthetic polyester mini-skirts and flared catsuits, grab your girlfriends and get your ‘Boogie Oogie Oogie’ on! Call or drop in to the pro shop to sign up….don’t miss this opportunity to have a ‘Last Dance’ around the links. Oh and one more thing…fishing on the Elk River…it is simply a must! Check out these great Fly Shops and hire one of their knowledgeable and trusted guides….they won’t steer you in the wrong direction! 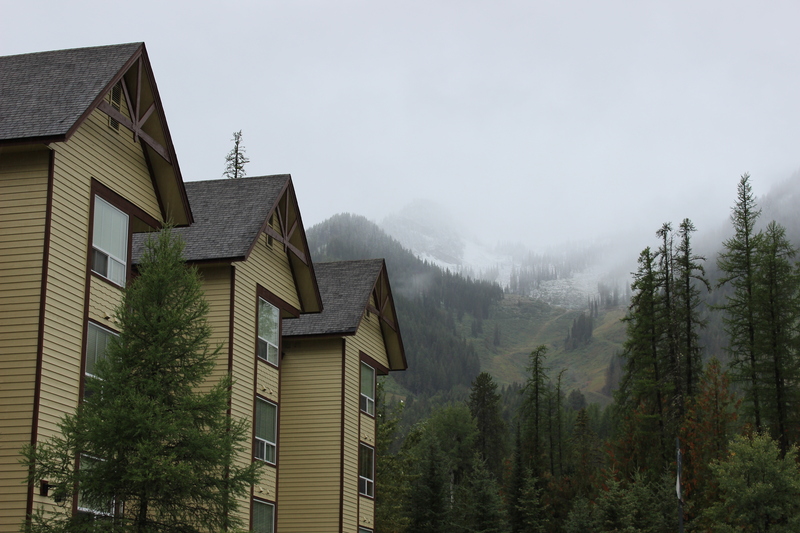 Give us a call and book your fall getaway to beautiful Fernie BC. We have some amazing deals right now….Stay 7/Pay 5 in select properties or 3rd Night Half Price on a 3 night minimum stay on all our properties right up until November 30th! Whether it’s a cozy log cabin, an executive resort home, a split level townhome with private hot tub or a condo suite…we won’t disappoint you! Learn to love Fernie the way we do…you may never leave! Let us do what we do best….make your dreams come true. https://www.fernielodgingco.com/wp-content/uploads/2013/04/logo_white.png 0 0 Heather Boyd https://www.fernielodgingco.com/wp-content/uploads/2013/04/logo_white.png Heather Boyd2014-09-03 17:30:262017-05-04 09:21:10Is That Snow in Them Thar Hills? ?